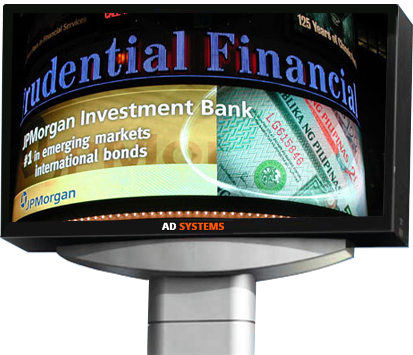 AD SYSTEMS is a LED display board manufacturer that has supplied digital sign systems & digital billboards to large and small businesses and institutions since 1970. We are a U.S. based company that designs, manufactures, installs, and services the highest quality indoor and outdoor LED message boards, LED video display boards and electronic directory boards at the best prices in the market. 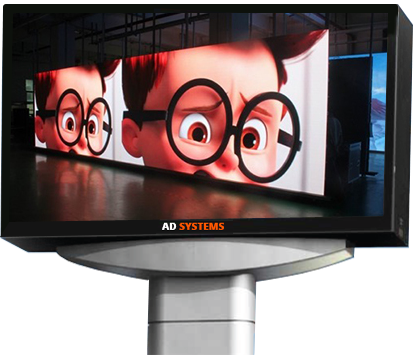 AD SYSTEMS offers a complete turnkey package solution to clients that covers every aspect of using digital displays for business advertising, communications, and entertainment purposes. 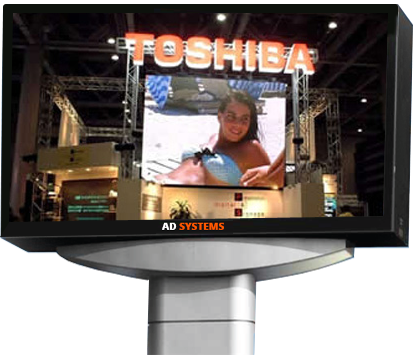 AD SYSTEMS is known locally, as well as globally, for manufacturing & supplying the highest quality digital LED displays that are easy to program, and surprisingly affordable. Whether you’re looking for a scrolling LED message board, high resolution electronic digital sign or digital menu display, we can provide a complete turnkey solution. Partner with AD SYSTEMS to give your business the advertising advantage of indoor digital displays and indoor LED display boards, as well as outdoor LED signs and outdoor LED display boards. We offer a wide range of electronic signage boards and digital video billboards that can be customized to your individual requirements. Speak with our sales team (888-440-2531) to learn what type of digital display or electronic digital signage is best suited for your location and business goals. Besides supplying top quality LED products at unbeatable prices, AD SYSTEMS also provides other advantages to business owners and companies. We offer 100% financing to qualified business owners to reduce the burden of financial investment. Our support team is always on standby to help clients with technical issues and questions. Get more information about financing and tax deductions. 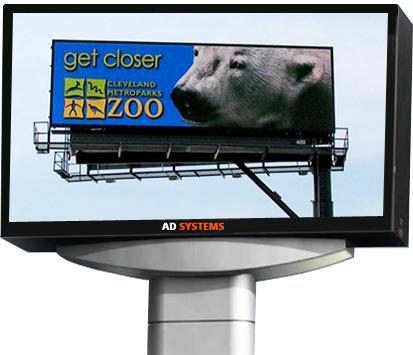 AD SYSTEMS will beat any domestic supplier’s price for indoor-outdoor LED displays & digital billboards. The Best LED sign products with the Best LED sign service = high volume that enables AD SYSTEMS to make this offer. Send us a copy of a competitor’s quote, and we will beat the price/LED. Off-shore competitors are excluded since most off-shore products do not meet U.S. electrical specifications and product warranties. For over 40 years, AD SYSTEMS has manufactured and distributed the industry’s best indoor digital sign products & outdoor LED displays. We were the first Company to offer 100% solid-state digital sign components, the first to offer fiber optic data transmission, the first to offer outdoor wireless data transmission, and one of the first to offer outdoor LED signs. Unlike local sign shops that have limited Digital sign experience, LED signs are our only business, what we specialize in. Why purchase yesterday’s technologvy when you can purchase the most advanced and highest quality products available anywhere in the world. You’re history. We are the top player in the indoor & outdoor LED sign displays business and promise the best solutions to serve our clients’ needs. Whether you need a basic scrolling monochrome LED sign, an advanced full color video display, an indoor lobby sign or LED window display, AD SYSTEMS offers the best digital message display for your application. 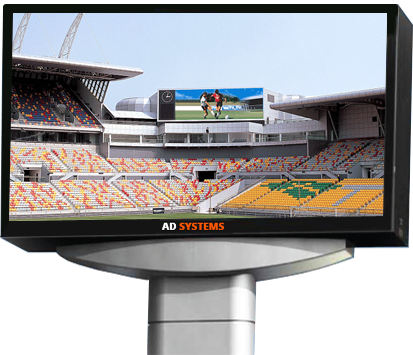 Automated Display Systems’ team of experts offers unique solutions and superior outdoor LED products to insure that our customers Outperform the Competition. AD SYSTEMS’ superior leading edge product line and marketing expertise cannot be matched by any supplier. Unlike other LED sign suppliers that focus primarily on stadium scoreboards or small indoor LED products, AD SYSTEMS offers a full line of industry best products including LED message boards, programmable LED signboards and outdoor digital billboards to serve our customers’ needs. Our long history speaks for itself. Automated Display Systems has the financial and managerial expertise to serve our clients’ needs into the next millennium. Compared to many of our competitors that have gone through multiple bankruptcies or have down-sized significantly, AD SYSTEMS has a spotless financial record. This is because we supply top quality indoor-outdoor LED display boards and outdoor digital billboards to our customers at affordable prices. Our commitment to quality has earned us the title of “best digital billboard manufacturer” from our clients. I was looking for a long-term partnership to help grow our business, and these guys have been amazing. Their creative content ideas, product expertise and tech support are second-to-none, and strategically AD SYSTEMS brings so much to the table. January-June Retail sales averaged $34,281/mo. without the LED sign. July-December Retail sales averaged $53,345/mo. with the sign, a 55% SALES INCREASE! The technical support provided by AD SYSTEMS at the start up phase was a key element in the above referenced success of the sign. Terry Swets— CORT a Berkshire Hathaway Co. I researched LED companies for 6 months and I am so happy that I found AD SYSTEMS! Jim Allen was very professional and knowledgable, and AD SYSTEMS has been there after the sale to answer any questions I may have. I would recommend AD SYSTEMS to anyone interested in LED signs. AD SYSTEMS announces the addition of our new custom Architectural product line. The Lowest prices on the Most Popular Models..